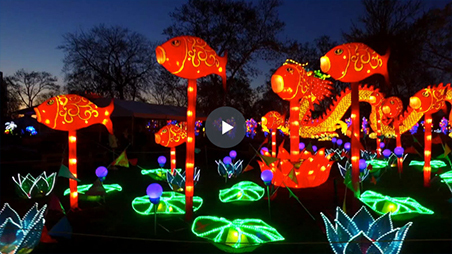 This one-of-a-kind experience includes an all-new collection of larger-than-life, illuminated silk sculptures, acrobatics, dancers, authentic crafts and the return of a 200-foot-long dragon. Tickets $17. Days & Hours: Sunday – Thursday 6:00 pm -10:00 pm, Friday & Saturday 6:00 pm -11:00 pm. This entry was posted in Photo Opportunity.